GENEVA, Switzerland, March 6, 2017 (ENS) – Every year, environmental risks such as indoor and outdoor air pollution, second-hand smoke, tainted water, lack of sanitation, and inadequate hygiene, take the lives of 1.7 million children under five years of age, warn two new reports from the World Health Organization. One report, “Inheriting a Sustainable World: Atlas on Children’s Health and the Environment,” finds that a large portion of the most common causes of death among children aged one month to five years – diarrhea, malaria and pneumonia – are preventable by reducing environmental risks, and providing access to safe water and clean cooking fuels. The top five causes of death in children under five years are linked to the environment, says the World Health Organization, WHO. Harmful exposures can start in the mother’s womb and increase the risk of premature birth. Then, when infants and pre-schoolers are exposed to indoor and outdoor air pollution and second-hand smoke they have an increased risk of pneumonia in childhood, and a lifelong increased risk of chronic respiratory diseases, such as asthma. Exposure to air pollution also may increase their lifelong risk of heart disease, stroke and cancer. A companion report, “Don’t pollute my future! The impact of the environment on children’s health,” provides a comprehensive overview of the environment’s impact on children’s health, illustrating the scale of the challenge. * – 570,000 children under five years die from respiratory infections, such as pneumonia, attributable to indoor and outdoor air pollution, and second-hand smoke. * – 361,000 children under five years die due to diarrhea, as a result of poor access to clean water, sanitation, and hygiene. * – 270,000 children die during their first month of life from conditions, including prematurity, which could be prevented through access to clean water, sanitation, and hygiene in health facilities as well as by reducing air pollution. * – 200,000 deaths of children under five years from malaria could be prevented through environmental actions, such as reducing breeding sites of mosquitoes or covering drinking-water storage. * – 200,000 children under five years die from unintentional injuries attributable to the environment, such as poisoning, falls, and drowning. “A polluted environment results in a heavy toll on the health of our children,” says Dr. Maria Neira, WHO director, Department of Public Health, Environmental and Social Determinants of Health. “Investing in the removal of environmental risks to health, such as improving water quality or using cleaner fuels, will result in massive health benefits,” she said. For example, emerging environmental hazards, such as electronic and electrical waste that is improperly recycled, expose children to toxins that can lead to reduced intelligence, attention deficits, lung damage, and cancer. The generation of electronic and electrical waste, like old mobile phones, computers and monitors, is forecast to increase by 19 percent between 2014 and 2018, reaching an estimated 50 million metric tonnes worldwide by 2018. With climate change, temperatures and levels of carbon dioxide are rising, favoring pollen growth, which is associated with increased rates of asthma in children. Worldwide, 11–14 percent of children aged five and older currently report asthma symptoms; an estimated 44 percent of these are related to environmental exposures. 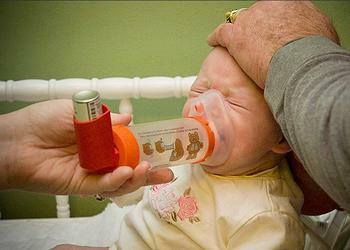 Air pollution, second-hand tobacco smoke, and indoor mold and dampness make asthma more severe in children. In households without access to basic services, such as safe water and sanitation, or that are smoky due to the use of unclean fuels, such as coal or dung for cooking and heating, children are at an increased risk of diarrhea and pneumonia. 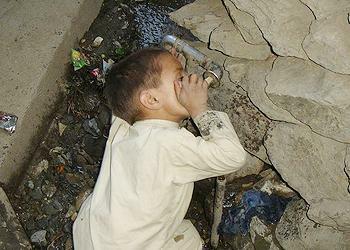 Children are exposed to harmful chemicals through food, water, air and products around them. Chemicals, such as fluoride, lead and mercury pesticides, persistent organic pollutants, and other chemicals in manufactured goods, eventually find their way into the food chain. Lead affects brain development. While leaded petrol has been phased out almost entirely in all countries, lead is still widespread in paints. The World Health Organization’s reports are intended to raise awareness so that all places can be made safe for children. Reducing air pollution inside and outside households, improving safe water and sanitation and improving hygiene, especially in health facilities where women give birth, protecting pregnant women from second-hand tobacco smoke, and building safer environments, can prevent disease and death in children. Housing: Ensure clean fuel for heating and cooking, no mould or pests, and remove unsafe building materials and lead paint. Schools: Provide safe sanitation and hygiene, free of noise, pollution, and promote good nutrition. 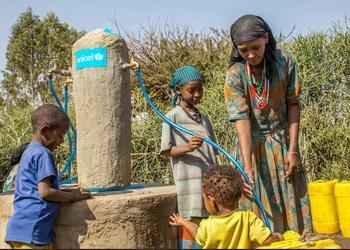 Health facilities: Ensure safe water, sanitation and hygiene, and reliable electricity. Urban planning: Create more green spaces, safe walking and cycling paths. Transport: Reduce emissions and increase public transport. Agriculture: Reduce the use of hazardous pesticides and no child labour. Industry: Manage hazardous waste and reduce the use of harmful chemicals. Health sector: Monitor health outcomes and educate about environmental health effects and prevention. Under the United Nations’ Sustainable Development Goals, SDGs, countries are working on a set of targets to guide interventions for children’s environmental health, as well as to end preventable deaths of newborns and children under five by 2030. In addition to SDG 3, which aims to ensure healthy lives and promote well-being for all, other SDGs work to improve water, sanitation and hygiene, transition to clean energy to reduce air pollution, and reverse climate change. All these efforts will have a positive impact on children’s health. Copyright Environment News Service (ENS) 2017. All rights reserved.